Funding requirements for the business, which is especially important if you're applying for a loan or other outside funding. The end of the Executive Summary section should be a few convincing sentences on why the business is a winning idea and why it is bound to be successful. The purpose of this section is to give readers, especially potential partners or funding sources a quick overview of the business. In some ways, it's like a cover letter to a resume. It highlights important aspects, and if intrigued, the potential funder can read the full document, or go to the specific section they want more details on. But even if you're not going to ask for money, summarizing your business can help you gain focus and clarity about your business. This can be helpful when you're trying to network with others in your industry, write your media kit, or seek publicity. 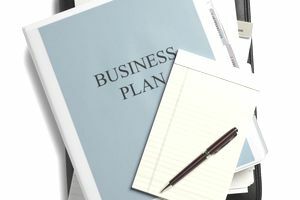 A business plan's Executive Summary should be the first thing in the business plan, after the Table of Contents (although some writers of business plans place the Executive Summary before the Table of Contents). Although the Executive Summary comes first in business plans, it's important that it be written last after all the supporting information has been developed. It's next to impossible to effectively summarize business plans when you're not really sure what they contain. What Goes Into Your Executive Summary? Recommended content to cover in the executive summary varies some among experts. But your goal is to give an overview of the major parts of your business; Who are you? What do you do? Who's involved? Who will buy? Who is your competition? What are your goals? and What are your finances? Many business plans start the executive summary with a mission statement. Others outline the business and your goals. If it's an existing business, you might include a bit of the history and any achievements you've made. In this section, you want to describe the history of your company including when and where it was formed. Plus you want to provide information about the products and services you offer. Finally, give a brief overview of who the owners and key people are in the running of the business. In this section, you want to show there is a need for the business you're starting. Especially if you're asking for money, you'll want to provide stats that show a need for what you offer. This can include the number of search engine searches on your product or service, research data on your industry, trends, and economic outlook. You also want to define your target market. Who are the best people to buy what you're offering and where can they be found? You want to describe your competition and then provide information on why your business can compete. What will make you stand out and attract the market away from your current competition. Your competitive advantage can include a variety of factors including price, location, service level, and more. In your financial section of the executive summary, you want to provide the money goals for your business. How much do you expect to spend and earn in the next year? How many sales will you make? Beyond the first year, what are your projected growth rates? What do you hope to invest back into your business to expand? Use a few sentences from each section in your business plan to draft your summary. You'll want to edit and revise, but pulling a few key details from each section can help you begin to build out the executive summary. Strive to keep the executive summary brief and to the point. You'll probably want to re-write this section several times to get it just right. It should be highly polished, professional, and to the point. Focus on your reader. While this can be a great resource for your reference, you want to keep in mind your goal of the business plan and summary. If you're asking for a loan or investors, you need to keep them in mind, and what they'll want to see that will make them feel confident in giving you money. Ask someone to review your summary. Can they understand what the document is about and why the business is a winner? Such feedback can be invaluable. Keep your executive summaries to less than two pages. Ideally, try for one page. For more help, you can see a sample of an executive summary here.